Whenever I go to the local bookstore, there seems to be a new volume in the "For Dummies" series. 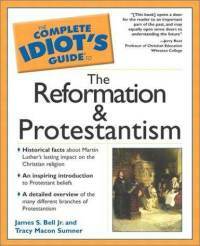 I have yet to see a "Luther For Dummies" volume, but there is The Complete Idiot's Guide To The Reformation and Protestantism. The question of good Luther books has been asked of me often, and it is not answered simply.There isn't one simple book like "Luther For Dummies" or "The Idiot's Guide To Martin Luther." I consider myself a student of the Reformation rather than an expert. Recently, one of the guys from Triablogue asked me for my Luther recommendations, so in the spirit of friendly blog etiquette, and considering who was asking me, I figured I'd finally oblige the question. As a student, I can only point to those resources that have helped me (that is, until I get down to business and write my own book on Luther!). Recently I was reading a book from 1959 that stated there were over 3000 biographies and studies on Luther. Now in 2007, I would probably be in error if I said the number is double. It is probably much more than that. I have lost count of how many Luther and Reformation books are in my own collection. I point this out because it is no easy task to navigate through the multitudes of books written on Luther. Why are there so many books on Luther? Besides the fact of his impact on church history and western civilization, Luther's actual written corpus is immense. It can sometimes seem as if everything he actually said was written down. This keeps biographers and theologians very busy. With these considerations in mind, I'd like to offer my recommendations. Note, I have laymen in mind (If you're a scholar, you don't need my recommendations!). This is only a partial list, and a simple list. It is intended to give people a few reliable texts to begin learning about Luther and the Reformation. Of course, the best thing to do is actually read Luther. This is much easier than it used to be. You can actually purchase Luther's Works on CD-ROM. The CD contains the 55-volume American edition. The price for the CD has been going down over the years as well. For those of you who want just a taste of Luther's writings, there is a good anthology edited by Timothy Lull, Martin Luther's Basic Theological Writings. Lull does an excellent job of collecting key texts, and presenting key snippets from Luther's Works. There is also an older anthology edited by John Dillenberger, Martin Luther: Selections From His Writings. One of the most fascinating and helpful resources is What Luther Says by Ewald Plass. The book contains 1700 pages of quotes by Martin Luther arranged topically. This book is a masterful topical arrangement of Luther's opinion on a myriad of subjects: everything from practical matters to in-depth theological issues. There are 5,100 quotations on more than 200 subjects. A thorough index links to hundreds of other subjects. This book isn't cheap, but it is well worth it. Also this book makes a great gift for your pastor. There is a smaller volume similar in nature called A Compend Of Luther's Theology by Hugh Kerr. It is out-of-print, but easy to track down, and inexpensive. Though these anthologies are great introductions, I always recommend people begin by reading some of Luther's Sermons. Recently, Baker books republished seven volumes of these entitled The Complete Sermons of Martin Luther. The set is inexpensive. I recommend this as a starting point because it gives one a feel for the pastoral heart and care of Luther. His sermons are much easier to read than his theological treatises, and will challenge and inspire you. As to basic historical biographies of Luther, I recommend two books that compliment each other. The first is Roland Bainton's Here I Stand: A Life of Martin Luther. The book is straightforward, and though criticized for being too lenient on Luther, it is a highly reliable historical work. The second is Heiko Oberman's Luther: Man Between God and the Devil. This biography is more daring. It presents more of a "Luther, warts and all". As with Bainton's book, the historical and biographical information is set forth accurately. Here are some interesting historical treatments. Robert Kolb's Martin Luther as Prophet, Teacher, and Hero traces Luther's impact on Lutheranism, and explores the way Lutherans have understood who Luther was. Some early Lutherans went as far as calling him a Prophet. Martin- God's Court Jester by Eric Gritsch tackles some of the controversial subjects surrounding Luther, like the folly of using psycho-history to interpret Luther's life. Richard Stauffer has an interesting little book called Luther As Seen By Catholics, tracing the way Catholics have understood Luther for the past few hundred years. Similarly, if you can track it down, Luther Examined and Reexamined: A Review of Catholic Criticism and a Plea for Reevaluation by W.H.T. Dau gets into debunking the slanderous accusations Catholics have leveled against Luther. But most people never move beyond the biographical with Luther. Luther was a theologian, and had distinctive theological paradigms. For the simplest overview of his theology, Steve Paulson has written Luther For Armchair Theologians, with the layman in mind. The book is by far the easiest text available on Luther's theology. For an advanced detailed treatment, The Theology of Martin Luther by Paul Althaus is, in my opinion, the definitive overview of Luther's theology. It is an in-depth analysis of Luther's thought, fully indexed, and documented with citations from primary sources. But the book that really takes Luther's theology and makes it practical is Gerhard O. Forde's, On Being A Theologian Of The Cross: Reflections On Luther's Heidelberg Disputation, 1518. This book endeared me to Luther, and really challenged the way I do "theology." Forde clearly puts forth what Luther meant by the theology of the cross. Out of all the books listed above, this would be my favorite, and the one I would promote as required reading. Again, these are only a few texts I have found helpful. I should really do a follow-up entry on books you shouldn't read on Luther. I can mention one immediately: The Facts About Luther by Father Patrick O'Hare. This book is quite popular with Catholic laymen. It is poorly researched, and filled with distortion. I have spent a lot of time with this book, and can prove my case. For the most in-depth treatment of Luther, Martin Brecht's massive volumes are really the standard in terms of bibliography. They are now available for purchase by Google E-books for a meager price (here's an example). For one of the best overviews I've ever come across on the different interpretations of Luther throughout history, Roman Catholic scholar John P. Dolan's History of the Reformation, A Conciliatory Assessment of Opposite Views (New York: Desclee Company, 1964) is extremely useful. Dolan is the author of the Luther entry in the New Catholic Encyclopedia, an entry far different than that in the old Catholic Encyclopedia. If you've followed my blog entries, you've noticed how smitten I was by another Roman Catholic scholar's book: Franz Posset, The Real Luther. This was probably the most interesting Luther book I've read in years. One my picks above, The Complete Sermons of Martin Luther, appears to have gotten a bit more expensive. These are only a few books among many. Keep in mind as well, Concordia has been releasing one new volume of Luther's Works each year. They've put out two so far, both were volumes of sermons. Both books are well worth the investment. The newest volume should be out soon. 1. The Power of the Holy Spirit in our lives and ministry - Acts 1:6-8; Galatians 5:13-26; Ephesians 5:18; Acts 4:31. I don't know if Paul Washer used these passages in his sermon, but these are ones that hit me with conviction. Paul Washer exhorts us to cry out in fervent prayer and dependence on God and spend time with God in His word for His power to work in our lives and ministry. This is not something charismatic or goofy or emotional. Reformed folks - we believe this and need Him. I had read this Hymn before by John Newton (author of Amazing Grace), I cannot remember where, but I saw it again at the Reformation 21 blog today. "I answer prayer for grace and faith"
That thou mayest seek thy all in me." ©2004 double v music (ASCAP). Bear has noticed this spoof-texting. Dispensationalists, he observes, are content to reiterate the catch-phrases which set forth their distinctive principles, supporting them by reference to Bible passages of which they do not stop to show the validity. They usually do not attempt in their books to follow out their principles to their logical conclusions, and one often wonders if many who call themselves “Dispensationalist” have ever actually faced the conclusion which must flow from the principles which they so confidently teach. Sandeen, on the other hand, throws out the baby with the wash. He simply indicts dispensationalists for holding the classic orthodox view of inerrancy from which he himself has departed. Dispensationalism, he argues, has “a frozen biblical text in which every word was supported by the same weight of divine authority.” Luther, too, had an inerrant Bible, one word of which would “slay” the devil. We should praise the dispensationalists for their virtues and censure them only for their faults. The vice of “spoof-texting” is not to be confused, as Sandeen and others do, with the virtue of proper proof-texting. Luther is right that one little word (rightly interpreted) will destroy the devil, but a hundred words used only for cumulative effect have no effect on any argument. At the same time, however, those who would interpret God’s Word have the duty to use it responsibly and not to trade casually on the authority of Scripture as a means of endowing dubious arguments with divine sanction. This was one of the first books I read as a Reformed person. While highly polemical, it was one of the first books that helped me sort out dispensationalism. 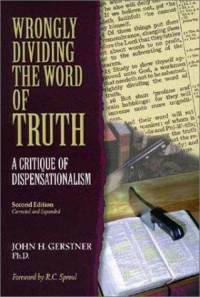 What endeared me to this book was Dr. Gerstner's lengthy replies to a few dispensationalists at the end. So, I followed the e-mail prompts, went through the registration process, and they did indeed send me a free pdf of the book. Here's another mp3 lecture attempting to pull preterism apart. Kim's blog can be found here. 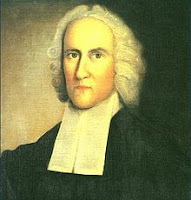 Jonathan Edwards Had a Theology of Mary? If I recall, the paper was written for a class on Jonathan Edwards. In fact, I think the last time I read Edwards was in 2005. As far as I know, it was Patrick Madrid who popularized the description "blueprint for anarchy" in describing sola scriptura. 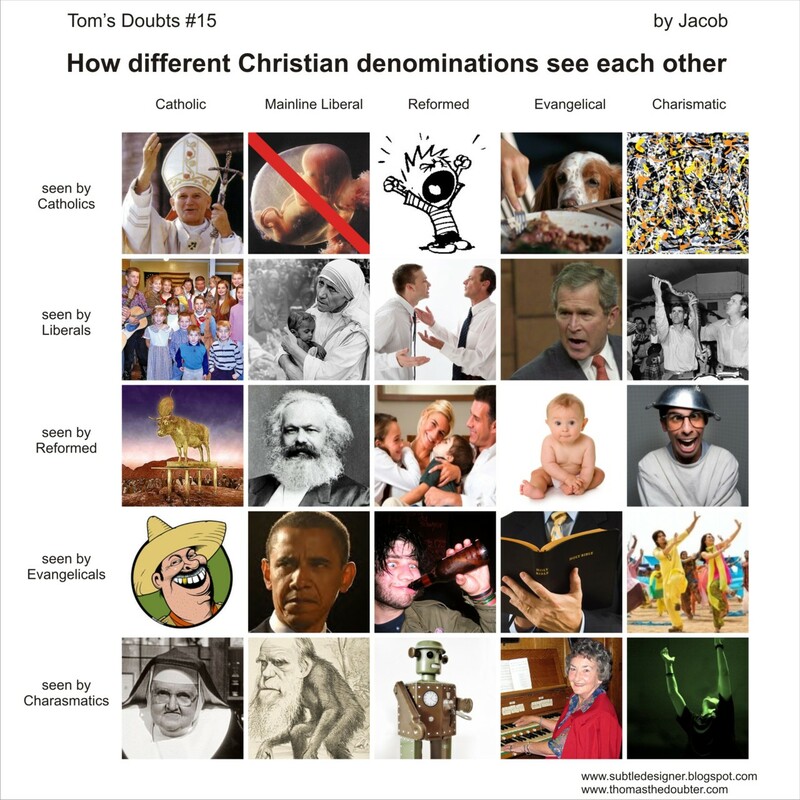 Recently, Madrid posted Techno Apologetics: The "Sola Scriptura" Baptists-Can't-Dance Mix. He includes a mocking video against Dr. White. He also links to his oft-refuted article,The White Man's Burden. Yes, it's professional Catholic apologetics at its best, a dance mix video, and an article that was entirely dismantled by Dr. White. "By the way, the 'Sola Scriptura is a blueprint for anarchy!' line that Mr. White quotes contemptuously in this montage (actually, I think he may have quoted it contemptuously in our 1993 Sola Scriptura debate in Chula Vista, CA) is something I have been saying for years." There is confusion reigning among Protestantism, all of them claiming to go by the Bible alone and none of them being able to meet entirely on what the Bible means. Now Jesus, pardon me, Paul said in I Corinthians 1:10, "I appeal to you, brothers, in the name of our Lord Jesus Christ, that all of you agree with one another so that there may be no divisions among you and that you may be perfectly united in mind and thought." Sola scriptura has been a blueprint for anarchy, folks. Just trace the historical record back to the time of the Reformation and look at all the competing sects that have arisen. Remember, if the argument you're using works just as well against your own position, it's best not to use that argument. Over on my own blog, I have my own occasional feature called, Blueprint for Anarchy. What I've been doing is simply keeping track of all the times I come across Rome's zealous defenders disagreeing with each other, or pointing out the lack of clarity within Roman Catholicism as well as the confusion. Robert Sungenis recently stated Rome's scholars are worse than Protestant liberals. Jimmy Akin recently chastised the interpretation of his priest saying, "This isn't exegetical rocket science." Steve Ray had some similar problems with a priest and concludes the church is "Always reforming, always in need of reform." Mark Shea accuses Robert Sungenis of lying. Sungenis says Scott Hahn misunderstands of the whole issue of justification. Over on the Catholic Answers forum, they recently had a heated discussion as to whether Scott Hahn teaches "prima scriptura." Tim Staples says he went to a mass in which the priest led the church in "the wave." Jimmy Akin says you can pray to whoever you want to, even if they aren't saints. Art Sippo says Mary should be Co-Redemptrix and Mediatrix of all Graces. Patrick Madrid disagreed with him. Karl Keating states, "Many Catholics are confused because some priests tell them contracepting is immoral, while others tell them the practice is morally neutral; some priests speak as though Mary had only one child, while others imply that she was the mother of the 'brethren of the Lord', some priests correctly explain the meaning of the Real Presence, while others refer to the Eucharist as only a symbol. Priests are authority figures, and lay people expect them to know and teach the faith accurately- not a safe assumption nowadays." Jim Burnham stated on Catholic Answers that Seventy percent of Roman Catholics do not understand the Eucharist. I could go on and on. I didn't even mention any of my "We Have Apostolic Tradition"- The Unofficial Catholic Apologist Commentary " posts. In those posts, you can see that Catholic apologists disagree with each other when they interpret the Bible. Then there are the big issues, like evolution. If you want to see diversity of opinion, simply try and nail down a Catholic apologist or a Catholic theologian on it. You would think Catholic theologians could at least be unified on Luther and the Reformation. Some say Luther was sent by Satan, others think he wasn't such a bad guy. Shall we conclude that an infallible interpreter + infallible tradition + infallible scripture = harmony? The facts speak for themselves. I've got to believe by this point that Mr. Madrid is aware that this is a false argument. The misuse of a sufficient source does not negate the clarity of that sufficient source. If he wants to argue differences among Protestants means anarchy, he should be willing to first clean up his own house before pointing any fingers, or posting dance mix videos. 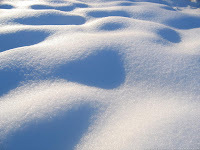 Luther: Sleeping in the Snow? 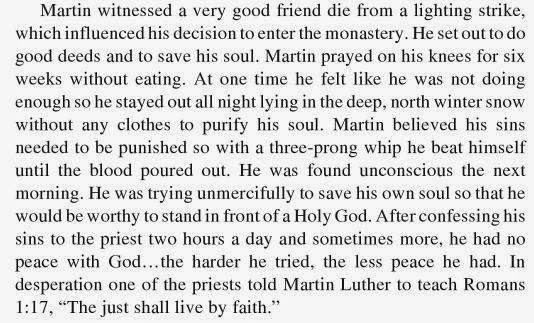 Here's one that just happened to scroll by in the Prosapologian chat channel- someone mentioned that as a monk, Martin Luther slept out in the snow. Now for most people such a comment would simply pass by. But as I thought back through all the stuff I've read on Luther, I simply couldn't recall this fact. "As a young monk Luther was obsessed with atoning for his sins and went through vast lengths to punish himself. This ranged from extreme self denial and physical and mental tests to self flagellation. One such punishment consisted of lying in the snow, through the night at the height of winter until he would have to be carried back inside" [source] [source]. Now there may indeed be some sort of documentation for this tale, but in the 30 minutes or so I looked for it, I came up with nothing. If it does exist, my guess would be it's a Table talk statement. On the other hand, that some of the main biographies of Luther I checked don't mention it, this makes me just a bit suspicious that perhaps it's yet another Internet myth. That the story has multiple versions also is suspicious. If anyone has any sort of documentation, please leave a comment. September 23, 2011. (Romereports.com) Behind closed doors the pope met with representatives of Germany’s Evangelical Church. In a powerful speech the pope spoke about Martin Luther, who led the Protestant Reform. He encouraged the ecumenical dialogue to continue so both groups can strengthen their relationship even more. Benedict XVI recalled the question once asked by Martin Luther, which gave rise to Lutheranism: “what is God’s position towards me, where do I stand before God. ?” The pope went on to say, that this question is still relevant. It’s a question, he said, that each person should ask themselves. The quote in this exact form has since disappeared from the Facebook page I first saw it on a few weeks ago (or I simply can't find it). Other versions of the quote are floating around as well that are slightly longer, but don't add anything more to the point being made. If all that's being asserted is that both Rome's teaching and Calvin both admit that the early church practiced public repentance, then indeed Calvin and Romanism are both in harmony on the facts of history. Then again, any historical source that mentions this tidbit could be said to be in harmony with Romanism. On the other hand, if a Romanist were arguing that Calvin was some way in harmony with Rome's sacrament of penance or that Calvin's view of penance was somewhat like Rome's sacrament of penance, then that would simply be an error. I judge the ancient observance, which Cyprian mentions, to have been holy and wholesome for the church; and I would like to see it restored today. This more recent practice, although I dare not disallow it or speak too sharply against it, I nevertheless deem less necessary. However it may be, we still see that the laying on of hands in penance is a ceremony ordained by men, not by God, one that ought to be classed among things indifferent and outward exercises — things that are indeed not to be despised, but that ought to occupy a lower place than those commended to us by the Lord’s word. Calvin then goes on to argue that penance isn't a sacrament (IV, 19:15). If there's any similarity between Calvin and Romanism here, it isn't at all related to penance being a sacrament. True, Calvin here states he would be in favor of the ancient observance of public penance. To my knowledge though, Romanism isn't interested in reviving the practice in the form Calvin outlines. 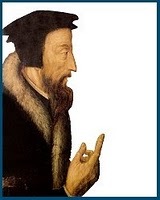 As to the "more recent practice" of penance, Calvin deems it "less necessary." Of that practice he states "the matter deteriorated to the point that, apart from public penance, they also used this rite in private absolutions. Hence arose that distinction in Gratian between public and private reconciliation." For Calvin, the recent practice was a deterioration. This would hardly be similar to what Rome believes about the positive development of doctrine. "...the laying on of hands in penance is a ceremony ordained by men, not by God, one that ought to be classed among things indifferent and outward exercises — things that are indeed not to be despised, but that ought to occupy a lower place than those commended to us by the Lord’s word." As I read Calvin here, he doesn't appear to think the laying on of hands is crucial to the practice of public penance, even if it were restored. He classifies it as "things indifferent and outward exercises." As I've searched around a bit, I couldn't find anything in current Romanism that typically says a penitent has to have hands laid on him. Perhaps then Calvin and Romanism share some similarities here as neither appears to think the laying on of hands in public penance is essential. The ancients observed this order in public repentance, that those who had discharged the satisfactions enjoined upon them were reconciled by the solemn laying on of hands. That was a sign of absolution by which the sinner himself was raised up before God with assurance of pardon, and the church admonished to expunge the memory of his offense and receive him kindly into favor. Cyprian very often calls this “giving peace.”(IV, 19:14). I've gone through this little exercise of compare / contrast not in any effort to prove the dishonesty of the quote being put forth on Facebook. Rather, I think the quote as selectively cited shows how a particular worldview, in this case, a Romanist worldview, sees what it wants to. It begins by presupposing the truth of Roman Catholicism, and then applies that template to Calvin. Calvin's words are put forth in some sort of ecumenical attempt to demonstrate Calvin's agreement with a distinctive of Roman Catholicism. When one reads Calvin in context though, his entire presentation at this point is to distinguish the Christian faith from Romanism. I've been reading Van Til's An Introduction To Systematic Theology. Van Til notes systematic theology seeks to offer an ordered presentation of what the Bible teaches about God. He says "the study of systematic theology will help men to preach theologically. It will help to make men proclaim the whole counsel of God. Many ministers never touch the greater part of the wealth of the revelation of God to man contained in Scripture. But systematics helps ministers to preach the whole counsel of God, and thus to make God central in their work." "It is but natural to expect that, if the church is strong because its ministry understands and preaches the whole counsel of God, then the church will be able to protect itself best against false teaching of every sort. Non-indoctrinated Christians will easily fall prey to the peddlers of Russellism, spiritualism and all of the other fifty-seven varieties of heresies with which our country abounds. One-text Christians simply have no weapons of defense against these people. They may be able to quote many Scripture texts which speak, for instance, of eternal punishment, but the Russellite will be able to quote texts which, by the sound of them and taken individually, seem to teach annihilation. The net result is, at best, a loss of spiritual power because of loss of conviction. Many times, such one-text Christians themselves fall prey to the seducers voice." Of course, I had the converts to Roman Catholicism in mind, rather than Russellites. I wonder how many of these Catholic converts actually attended churches that proclaimed the whole council of God? A question I would ask is how many Catholic converts previously went to churches with strong systematic confessions of faith, like the Westminster Confession, and how often were they taught the confession, like in a Sunday School class, and how well did their minister cover all the doctrines in the confession of faith? I would expect some rather weak answers. Van Til states, "We have already indicated that the best apologetic defense will invariably be made by him who knows the system of truth of Scripture best." I would modify this a bit and make it a negative: "the best converts to false gospels will invariably be made by those who know the system of the truth of Scripture least." I don't recall writing the above post, but I still find it to be true for a number of garden variety converts. There have been times I've dealt with people who are quite biblically knowledgeable, yet a serious heresy is being entertained. As I've considered what would lead these people to embrace such deviant theological positions, Van Til's words certainly ring true: there was a lack of a strong systematic theology. There will of course be those that were previously catechized (or even had theological training) who convert to this or that. In fact, now we have the CTC blog which props up people from my own tradition that have made their way across the Tiber. CTC appears to be primarily picking people that were more than simply pew sitters in Reformed churches. As I've read through (or listened to) Roman Catholic conversion stories though, more often than not, one can usually sense a lack of systematic theology. 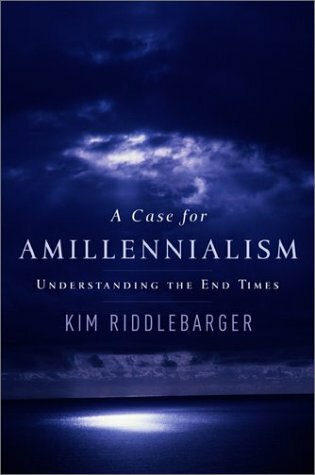 About ten years ago I did a study on preterism. I read a number of preterist books, mainly by Gary DeMar and Ken Gentry. I was never fully convinced of the preterist interpretation, although I grant some of their points are intriguing. "Luther maintained a third use of the law, even if he did not always use that specific phrase"
A new book from Concordia is addressing the issue on Luther and the third use of the law: Friends of the Law: Luther’s Use of the Law for the Christian Life. The ironic thing is most of the folks I've come across saying Luther didn't believe or teach a third use of the law were... Lutherans! “For where the Gospel is truly in the heart, it creates a new man who does not wait until the law comes, but, being so full of joy in Christ, and of desire and love for that which is good, he gladly helps and does good to every one wherever he can, from a free heart, before he ever once thinks of the law. He wholly risks his body and life, without asking what he must suffer on account of it, and thus abounds in good works which flow forth of themselves. Just like Christ will not be compelled to pick up a straw, but without compulsion he permits himself to be nailed to the cross for me and the whole world, and dies for the lost sheep. This may indeed be called work above work.” [Sermons of Martin Luther 2.2.76].